When Kazakhstan pulled out of Division 1, Singapore, which was relegated to Division 2 in 2015, received a free ticket to play in Division 1 in 2016. While this was certainly a windfall, this sudden change meant that team Singapore had even less preparation time to face some of Asia’s 15s heavyweights instead of lower ranking oppositions like Guam and UAE. Still, team Singapore had its sights set on taking the tournament by storm. Arriving in KL by bus on Friday, 6th May, the Singapore team (ranked 59th in the World) was scheduled to take on 37th ranked Sri Lanka on Sunday 8th May, 49thranked Philippines on Wednesday 11th May, and 60th ranked Malaysia on Saturday 14th May. On Match Day 1, the Republic’s men had a steady first half containing a pacy Sri Lankan side. Tries from Jay-Hykel and Tom Child helped them to a 15-17 lead at the half time break. However, Sri Lanka fired at full throttle in the second and scored 18 unanswered points to take the match 33-17. Undaunted from the opening loss, Singapore then showed their mettle on Match Day 2 by coming from behind repeatedly to down a Philippines side filled with professional and semi-professional players. Two tries from Warren Ansell and a Penalty Try after a high tackle on would-be try scorer Charlie Lambert helped the highly unfavoured underdogs to a 28-24 win. 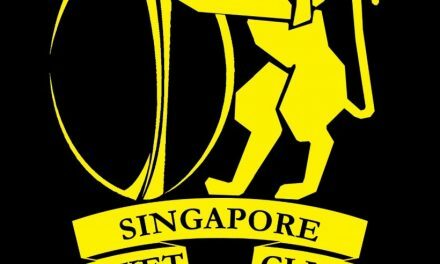 While the morale in the Singapore Camp was on a high after a hard-fought victory, the team was well aware that they were sitting bottom of the table, and anything other than winning would most certainly spell a repeat relegation. 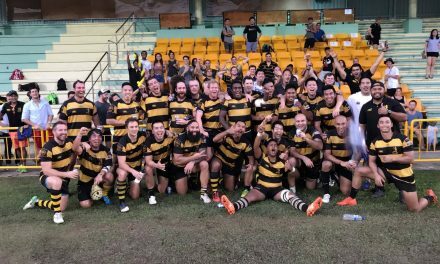 Home Team Malaysia was also in a similar situation after bouncing back from defeat to the Philippines to unceremoniously thump runaway favourites Sri Lanka 42-10. With the intent to spoil the party for the hosts, Singapore started strong against Malaysia on Match Day 3. 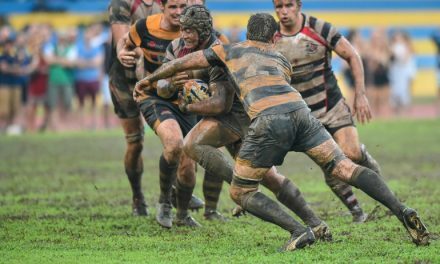 Props Alvin Ho and Randall Quek displayed highly dominant scrums to win multiple penalties for Singapore, giving Mike Patterson the opportunity to convert twice for Singapore to race to a 6-0 lead by the 20 minute mark. However, it was all Malaysia from then on as Singapore made far too many handling errors and poor decisions to gift the host the bulk of possession. Dominance in Singapore’s scrum did pay dividends as it coughed up two penalty tries, but this did little to make up for glaringly poor lineouts and ball retention. With ball in hand, the Fijian imports rampaged around the field and Singapore’s desperate defence went into overdrive. At the final whistle, Malaysian deservedly won 40-20 to take pole position in Division 1 of the Asian Rugby Championship. The Singaporean team as underdogs did not defy expectations by getting relegated from Division 1. One could even say that the Singapore team had the ability to avoid such a prospect. However, the team did leave nothing in the tank and made the best of whatever limited resources they had at their disposal. The optimism in adversity was nothing short of spectacular. From slaying a Philippines team riddled with professionals, to defiantly giving both Sri Lanka and Malaysia genuine scares, Coach Inoke Afeaki should be immensely proud of his men. Majulah!